Minnesota is apparently torn between Wright and Louisville two-way player Brandon McKay, but Wright seems to be the safer pick of the two. The Twins lack pitchers who can punch out batters and while the rotation at the MLB level has played better than expected, it’s hard to see the success lasting a full season. Wright would give them another solid pitcher to work with alongside Jose Berrios. Wright has four pitches, including a fastball that touches 97 MPH, a curve and a slider, but is change up needs to improve. 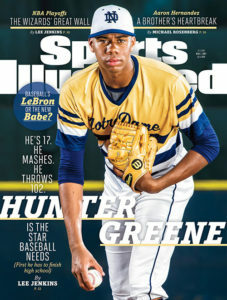 This kid is 17 and has already graced the cover of Sports Illustrated. 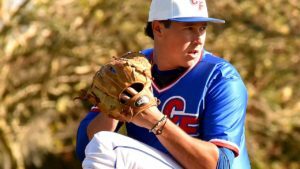 Greene could very well be a first rounder as a shortstop, where he his 13 home runs and 72 RBI in his high school career, but with a 102 MPH heater, his ceiling is way too high to not keep him on the mound. San Diego is reportedly keeping tabs on Gore, Greene, Brandon McKay and Royce Lewis, according to ESPN’s Keith Law. While Greene is the preferred player for the Padres, with him off the board, Gore isn’t a bad fallback option. Tampa Bay tends to target the best available player regardless of experience or position. With Willy Adames slated to be the shortstop of the future, Lewis may have to shift positions. Atlanta is in a tough spot here. They covet a prep school arm, and all four players they covet are gone. 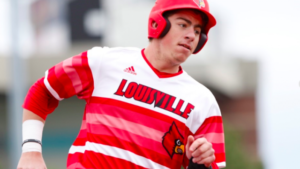 With none of them available, the Braves could go for a surprise pick here, especially since it is unclear how interested they are in Brendan McKay. 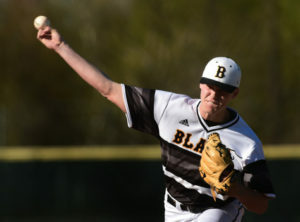 Bukauskas has become a near consensus pick for Oakland. Pitching is a need for the Athletics, especially with Sonny Gray struggling after coming back from injury. 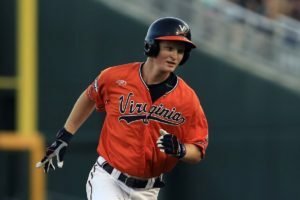 Pavin Smith could also be an option for Arizona. McKay lacks the elite velocity, which will likely cause whatever team who drafts him to keep him as a hitter. 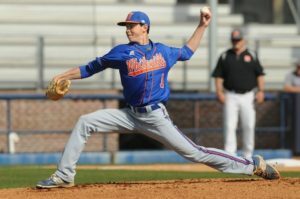 Philadelphia could also target Shane Baz if he drops, otherwise they will look for a college arm. Pitching is in dire need in Philadelphia. 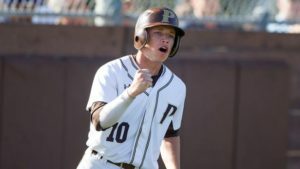 Milwaukee has shown an affinity for toolsy prep players in recent years. 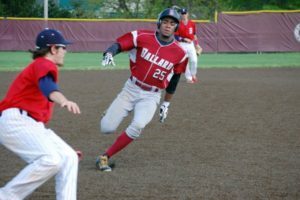 He has the speed to play in center field and after slugging 24 homers, he has definitely shown that he can hit for power as well. There is no team that this draft is more important to than the Angels, who easily have the worst farm system in baseball. Simply put, they can’t afford to miss with this pick. 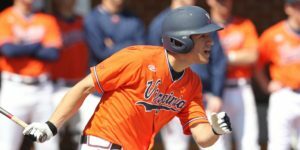 Haseley pitches for the Cavaliers as well, but make no mistake, his future in the MLB is as a hitter. He may not have the speed to stay in center field, but if his recent power surge continues, he definitely has a future as a corner outfielder. 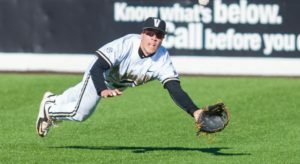 The White Sox seem tied to a number of outfielders. 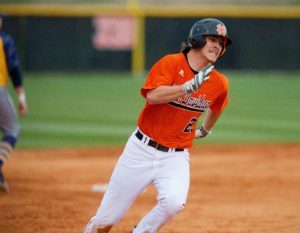 Along with Kendall, Haseley and North Carolina high school outfielder Austin Beck are options for the White Sox. Kendall has a really high ceiling as a five-tool player and would play center field. Pittsburgh has focused on hitter in recent drafts and they could do so again for this draft. 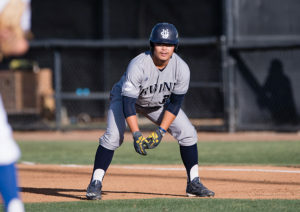 White is much more athletic than the typical first baseman and is in the rare class of players who throw lefty but hit right-handed. White’s weakest tool is his power, but at 6’3″, 177 pounds, he has more than enough room to bulk up. 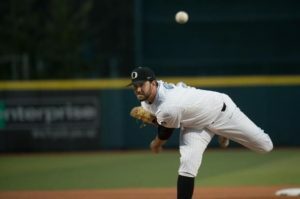 Miami needs to restock their depleted pitching arms and could go the high school route again. 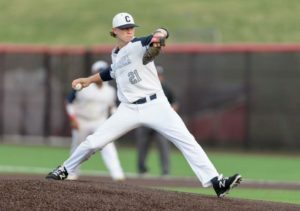 Hall’s curveball is … ahead of the curve (I’ll see my way out) and he appears the be the most pro-ready high school arm. 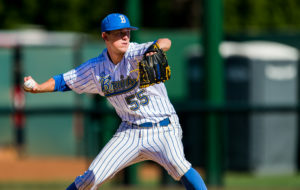 Another team with a weak farm system, the Royals have been linked to the 6’6″ Rodgers whose fastball already hits 95 and could get better as he bulks up. Houston is one of the harder teams to project. 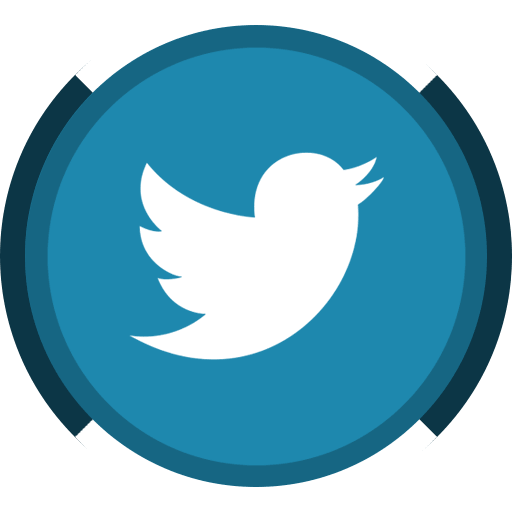 They have cast a wide net as they are unsure of who could be available and aren’t tied to any one position. Smith is taking a bit of a slide in this draft, so they would get great value with this selection. There have been a lot of whispers surrounding Pratto and the Yankees. 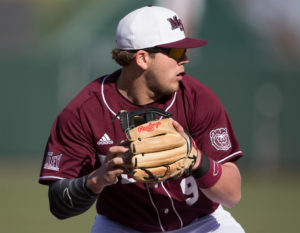 If he is unavailable, Austin Beck, Jake Burger and Griffin Canning could be fallback options. 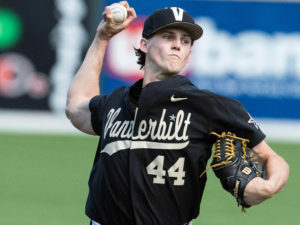 Seattle has been linked to several college bats as well as pitching, so this pick really comes down to who they see as the best player available. Detroit always seems to be intrigued by a hard-throwing prep school pitcher. Carlson can reach 97 MPH with his fastball. Another college bat for the Giants. Warmoth’s is a good hitter, but he may not be athletic enough to be a difference maker defensively in the MLB. The Mets are hoping that one of Hiura, Pratto or Warmoth falls here. Canning comes with a four-pitch repertoire and a plus changeup. Not to mention, he wouldn’t sit in the minors for long, something Baltimore is looking for. 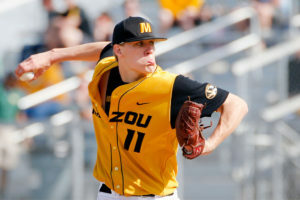 Houck struggled in the SEC tournament and his off-speed stuff comes with a few mechanical problems, but those can be fixed with coaching and his fastball is one of the best in this class. Toronto is armed with two first round picks and can take a risk with one of them. Los Angeles has been heavily tied to Thompson to the point where it’s almost a foregone conclusion. 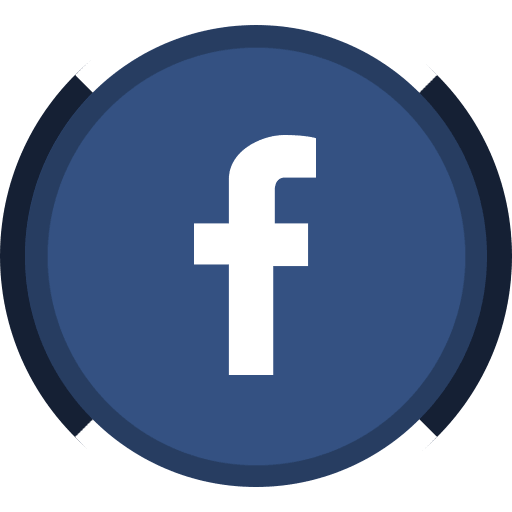 Boston selected Peterson in the 28th round when he came out of high school, but the 6’6″, 240-pound Duck opted for college instead. This time around, Boston has a better chance of bringing in the southpaw. The Nationals have shown before that they are willing to take a risk on a player with injury or off-field issues. 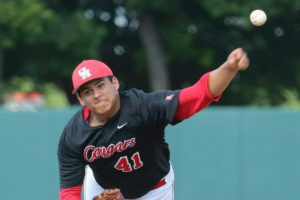 Romero was kicked off of Houston earlier this year, but could find a role as a relief arm at the MLB level. Beck dips a bit due to the small sample size and the fact that he missed a chunk of last year while recovering from knee surgery, but he comes with a ton of upside. Allen has been heavily tied to the Cubs due to their link with another undersized infielder, Dustin Pedroia. Allen is only 5’8″, but he has great defensive skills. 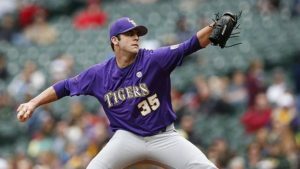 While Lange continues to improve his changeup, he has a biting curve and a fastball that sits in the mid-90s. 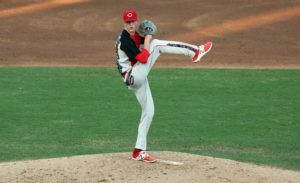 After getting a prep school bat with their top pick, the Rangers target pitching with their second pick. The 6’6″, 240-pound Pearson has a fastball that is already MLB ready, but his off-speed stuff still needs to develop. The Cubs aren’t tied to any specific player or even a player type, so expect them to go for the best available player.